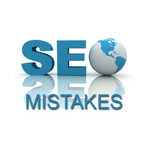 Search engine optimization (SEO) is vital to any successful campaign. Therefore it should be implemented in the right manner. SEO itself is quite intricate for numerous reasons, but mainly because Google uses an algorithm, which takes several factors into account when ranking a webpage, and they keep changing it.